My third daughter, Jillian, was a surprise baby. With her twin sisters we wanted to know everything so the room, clothes, etc could be perfect. I figured since Jilly was a little surprise blessing anyway we decide to not find out ahead of time if she was a boy or girl. For a nursery theme flowers, boats, or butterflies wouldn't do. We needed something neutral. 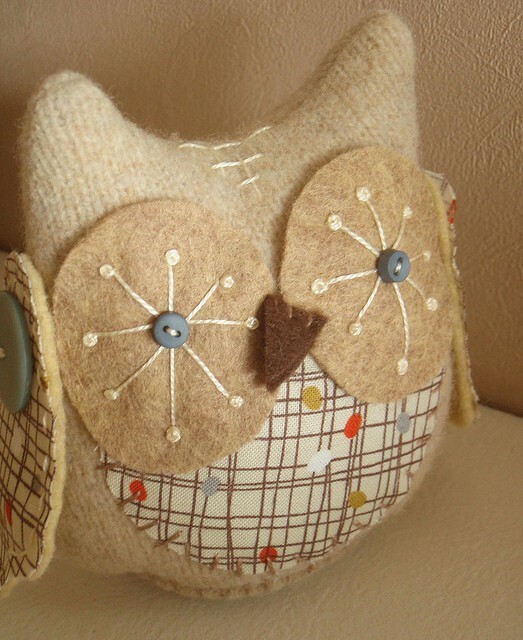 Owls hadn't quite become popular yet, but I found an adorable, plush owl at a local Christian store. So soft and cuddly I immediately loved it and our nursery theme was decided. 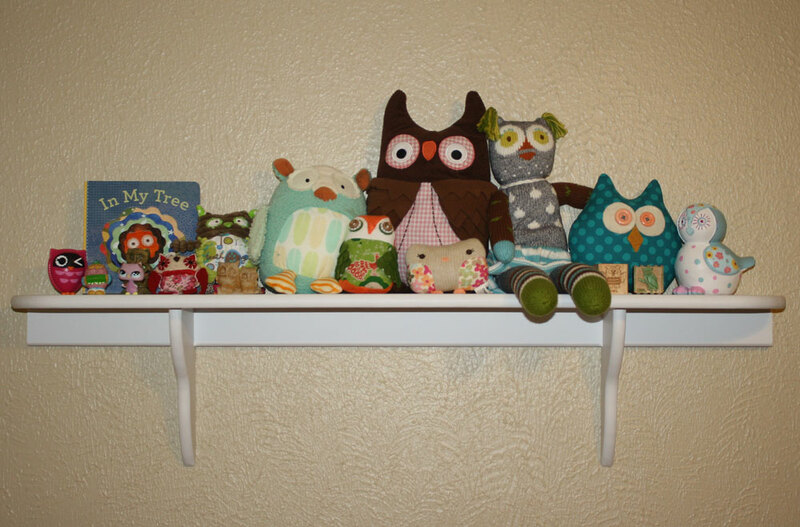 Since then owls have become quite popular in chain stores and online and we pick up some when we find a cute one to add to her collection. Above is a picture of her owl collection and the shelf her daddy made to put them all on. 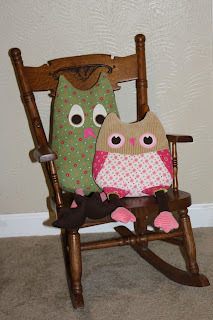 I decided on her first birthday I wanted to pick out one special owl for each birthday. Most kids have the little numbered porcelain figurines. Well these would be the owls to mark her birthdays. 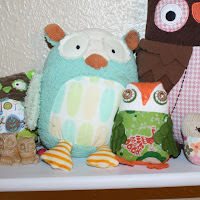 The light aqua plush owl on the right was the owl that started it all and the small green and orange one was her 2 year birthday owl. She was a custom creation from an Etsy seller, Misfit Menagerie. I love how she turned out. 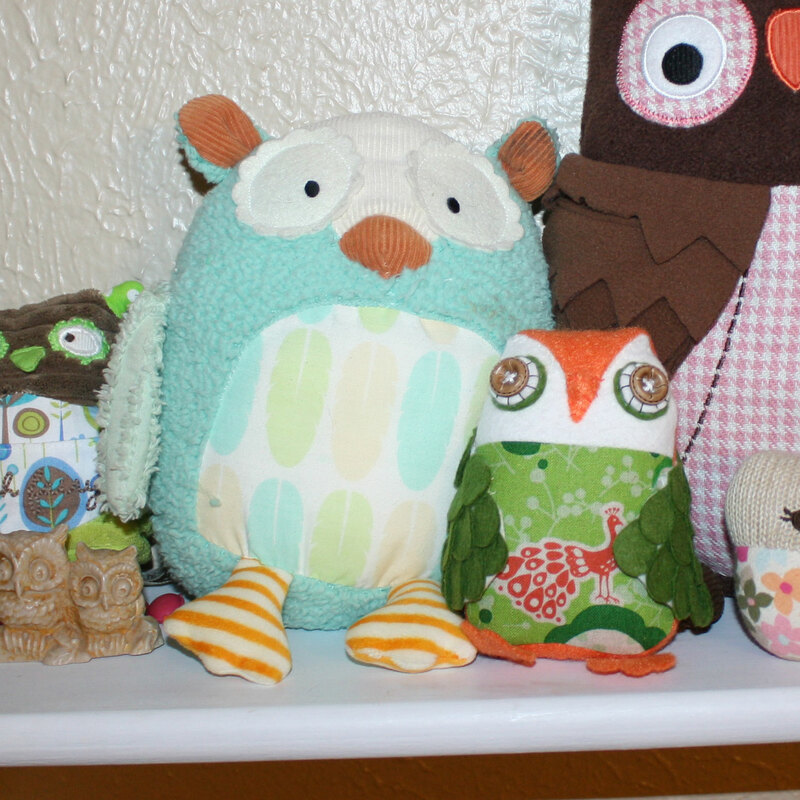 For her first birthday we were turning her room into a big girl room and the Pottery Barn owls were just too cute to resist. Well it's birthday time again and I'm searching for another perfect owl. I think I've found it. There is a wonderful artist in the UK that makes plushes. Her patterns have been published in several craft books and her designs are outstanding. Her name is Amy Adams and she owns LucyKate Crafts. This is the little guy that caught my eye, and she will be working on a custom one for Jilly's 3rd birthday. Her favorite color right now is blue, so I'm thinking blue, white and brown would be gorgeous. I'll post pictures when I get it. I can't wait to see what she comes up with! I have lot of other birthday plans to work on and share. Have a fabulous night everyone. Oh, I am a HUGE fan of Lucy's work! Everything she does is adorable. Love your (daughter's) collection!